We write to you on behalf of the Committee on Academic Freedom of the Middle East Studies Association (MESA) to protest the denial of the right of Dr. Amel Grami to enter Egypt, and her subsequent detention in the Cairo airport for 16 hours, on January 3 and 4, 2016. Dr. Grami is a professor at the Faculty of Arts and Humanities in University of Manouba, Tunis. She had been invited to participate in an international conference at the Library of Alexandria titled “The Production of Extremism: Examining Measures for Intellectual Confrontation” attended by scholars from 18 Arab countries and from Europe. Despite having a valid visa, she was denied entry and was told by one of her interrogators that she was a threat to Egyptian national security. In the absence of any proof to support such an allegation from the Egyptian authorities, we view this as a severe violation of Dr. Grami’s academic freedom. Dr. Grami is an internationally known scholar of Islamic and women’s studies who has participated in several previous events at the Library of Alexandria. She was scheduled to present a paper titled “Evaluation of Methods for Researching Extremism and Terrorism: Outcomes and Suggestions” at the “Production of Extremism” conference. She arrived at Cairo Airport on the afternoon of Sunday, January 3, with a valid entry visa--on which she had entered Egypt only one month earlier--as well as a letter of invitation from the Library of Alexandria. Upon her arrival, Dr. Grami was summoned from the international arrivals line to a separate area where she was made to wait for over an hour, before being interrogated and told to surrender her mobile phone and computer. She responded that since she was being treated as if she were accused of a crime, she demanded the right of an accused person to make a single phone call, which she used to inform the Library of Alexandria of her situation. Security officials tried to hold Dr. Grami in a small, dirty room with other detainees, and when she physically resisted being forced into the room they allowed her to sit with members of the security forces in a vacant employees’ room, from which she was summoned approximately every 1.5 hours for interrogation, each time being asked routine questions such as why she had come to Egypt and what type of paper she would present at the conference. Efforts by an official of the Library of Alexandria who traveled to the Cairo Airport to secure Dr. Grami’s admission into Egypt failed, and finally the official informed her that they would have to wait until morning to call the Minister of the Interior to see if he would personally authorize her entry. At that point Dr. Grami stated that she was not willing to enter Egypt through the intervention of the Minister and requested that arrangements be made for her return to Tunisia. She left at 8: 30 the next morning. Dr. Grami reports that her repeated questions about why she was not being allowed to enter Egypt were ignored until she threatened that if she was not given an explanation, upon her deportation to Tunisia she would return directly to Egypt at her own expense and try to enter again. Her interrogator responded that she would not return to Egypt again as she was a “threat to national security.” The Egyptian government has provided no proof of this allegation, and it seems highly ironic that an internationally known scholar who has participated repeatedly in academic activities at the Library of Alexandria, and who was contributing to an intellectual effort bringing together scholars from around the Arab world to fight terrorism and extremism, would be treated as if she herself were a dangerous individual. Dr. Grami has written weekly columns in the Egyptian newspaper al-Shorouq since November 2012 and she has speculated that the content of her December 2015 columns may have angered the Egyptian authorities, which may be the case given that she had entered Egypt very recently without any problem. We respectfully request that the relevant Egyptian authorities clarify why Dr. Grami was denied entry and apologize for the deplorable treatment to which she was subjected. Her case is just the most recent in a series of acts violating academic freedom about which we have written to you over the past several years. 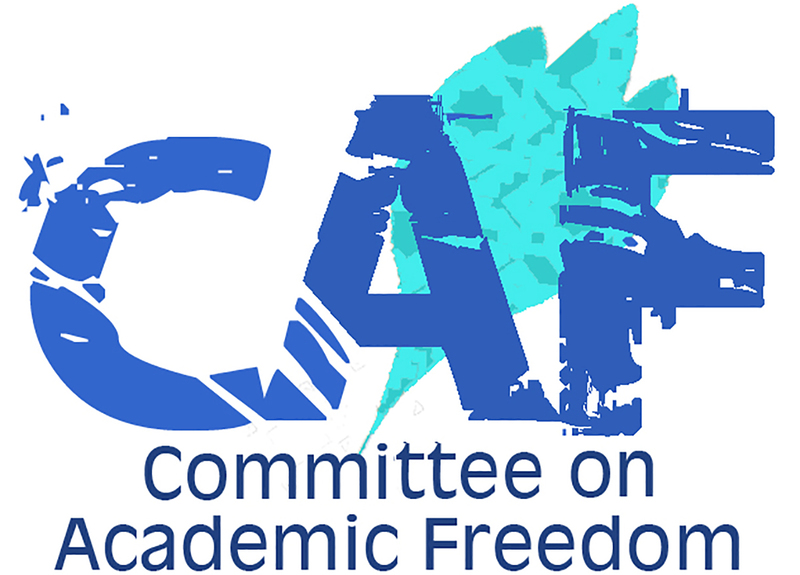 We therefore once again ask that your government work to end state intervention in matters related to the free exchange of scholarly expertise and ensure that the principles of academic freedom are protected. We await the honor of your reply.